Gus Kenworthy tweeted from the closing ceremony asking what Ivanka Trump was doing there. Ivanka was in South Korea for four days to brief the South Korean president on economic sanctions against North Korea. Treasury Secretary Steven Mnuchin said that Ivanka has “been part of the team” in devising the U.S.’s attempts to put pressure on North Korea. Bizarrely, she gave the North Korean team a standing ovation as they passed by. She also stood for the South Korean team. 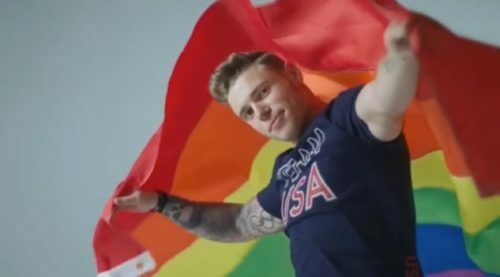 Kenworthy, who is not a fan of the U.S. Olympic Team’s leader Mike Pence either, had nothing to say about his attendance at the closing ceremony.